Posted by Shawn Kriewaldt. on Monday, August 8th, 2016 at 2:08pm. Welcome to Middleton's Northlake Neighborhood featuring this fabulous 3-bdrm home. 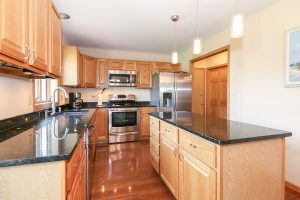 Highlighted by gleaming floors throughout the main level, you'll love the large kitchen with plenty of storage, granite counter tops and stainless steel appliances. 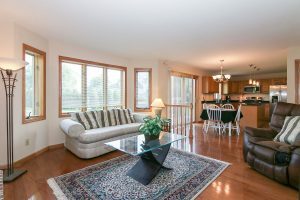 Perfect for entertaining with a hearth room and living room plus a separate formal dining room. Your master bedroom includes a walk-in closet and Jacuzzi tub. 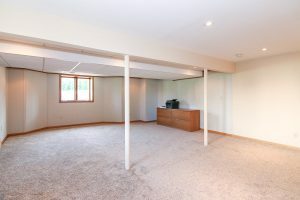 Many possibilities for your finished lower level for a fourth bedroom, family room or theater room since it's already equipped with sound proof walls. Nice yard and deck. New roof & windows! Madison Neighborhoods Real Estate Team at 608.729.7351 or click here to search properties.